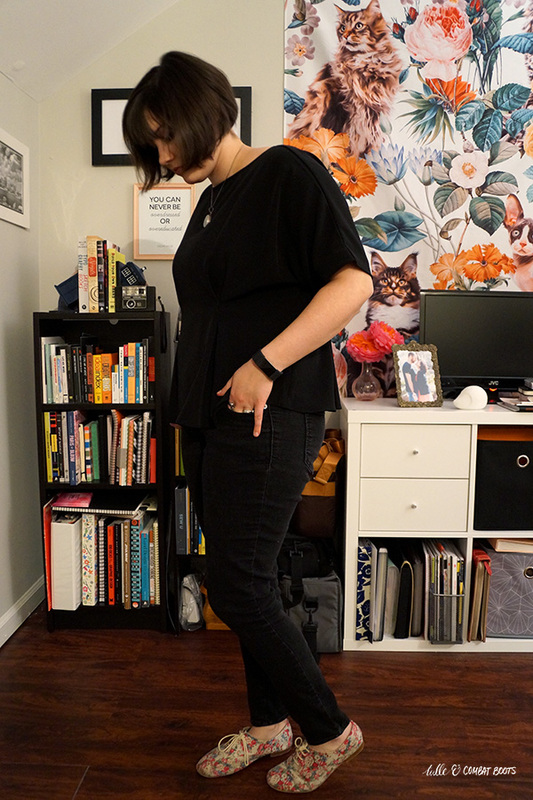 Tulle & Combat Boots: tapered. Look at me posting two weeks in a row! I hope you all have survived this "bomb cyclone" business, aka it's been like 10 degrees this past week. It was awful. 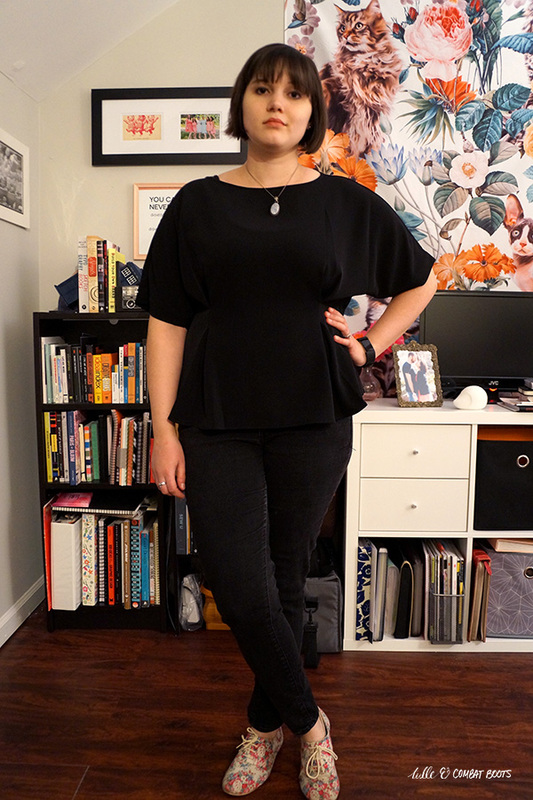 I included this tapered dolman-style blouse in my first Uniqlo order, and I'm so glad I did. 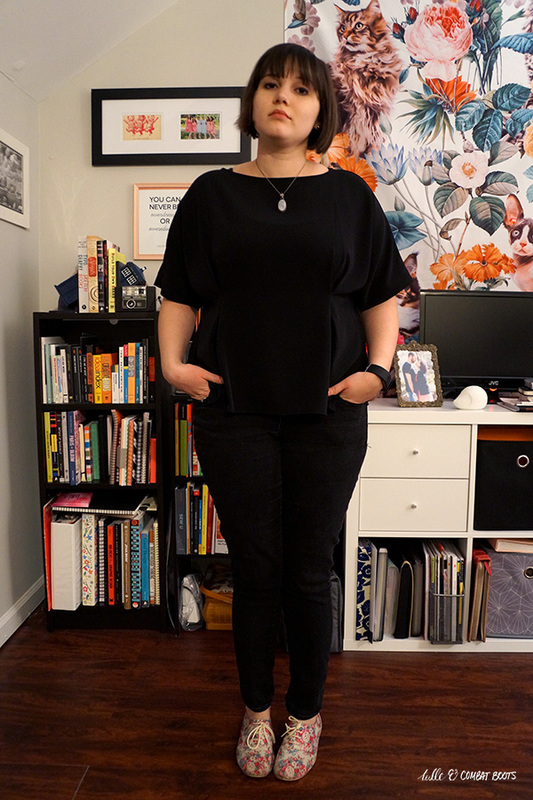 It's the perfect basic black work blouse—I checked Uniqlo's site and unfortunately it's no longer available. 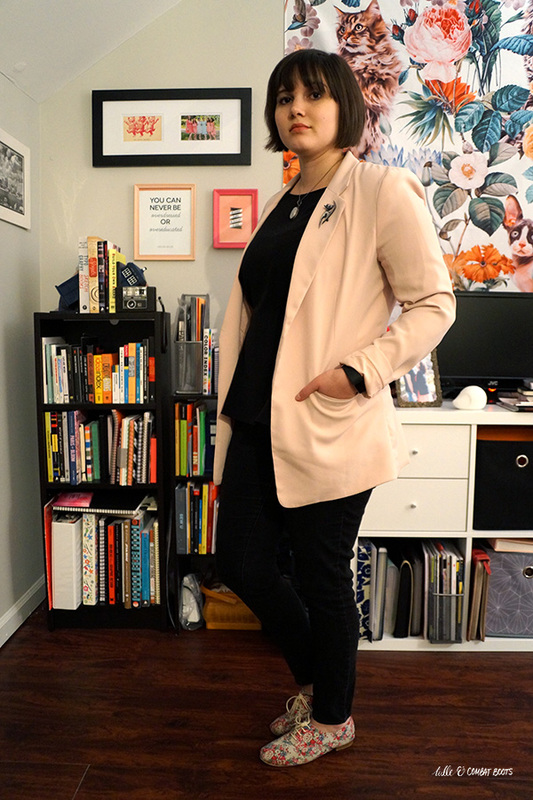 Because of how it slightly flares out at the hem, I've been debating about the best way to style it aside from with pants, so we'll see how that goes in the future.